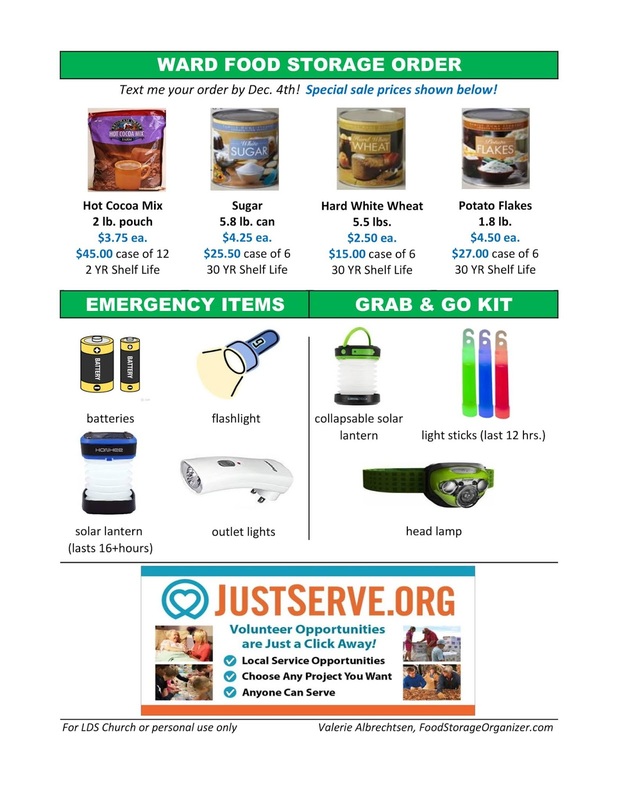 Get ready for winter by gathering a few inexpensive baking basics into your 3-month food storage supply, as well as some emergency power and light items for disasters. December is the busiest month of the year, so I try to keep the gathering simple. It's also the month when winter storms happen which leads to power outages which leads to spoiled refrigerator foods. So be prepared. I remember the wind storm we had here in Farmington in 2011. 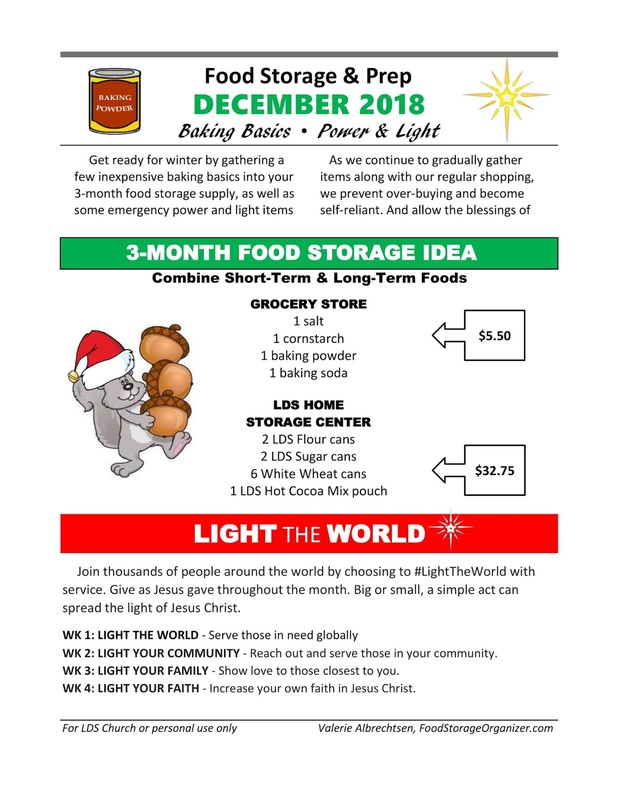 Here is the handout I shared with my LDS Relief Society sisters with a few baking basics to gather along with some long-term food storage. I already bought salt and baking soda, and next week I'll buy baking powder and cornstarch. Hot CocoaMix 2 lb. Pouch: $3.75 ea. or case of 12 for $45.00; 2 YR shelf life. As we continue to gradually gather items along with our regular shopping, we prevent over-buying and become self-reliant. 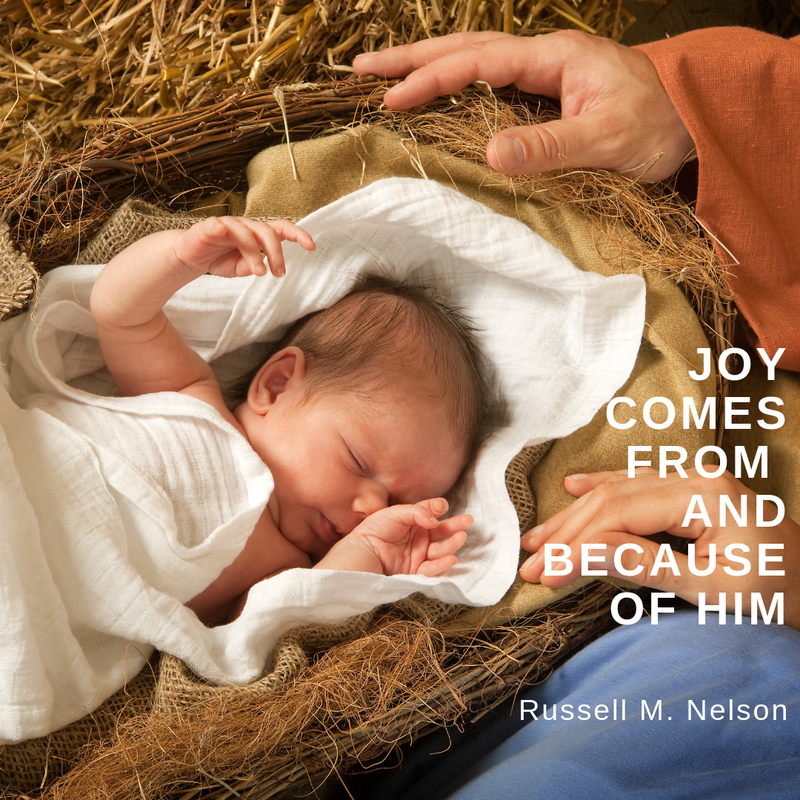 And allow the blessings of peace to come! 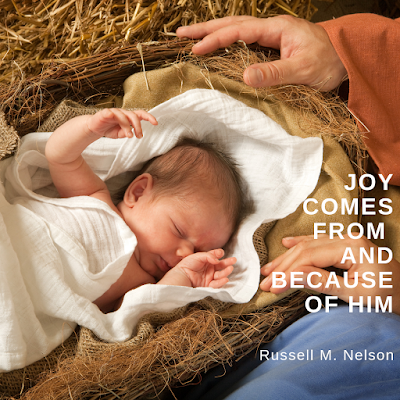 Have a wonderful Christmas season and keep Christ in Christmas. 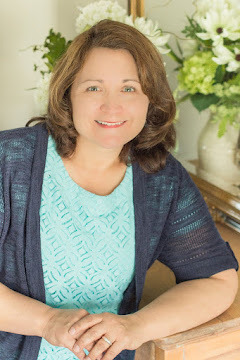 Hi Valerie, What do you recommend for a diabetic to store?